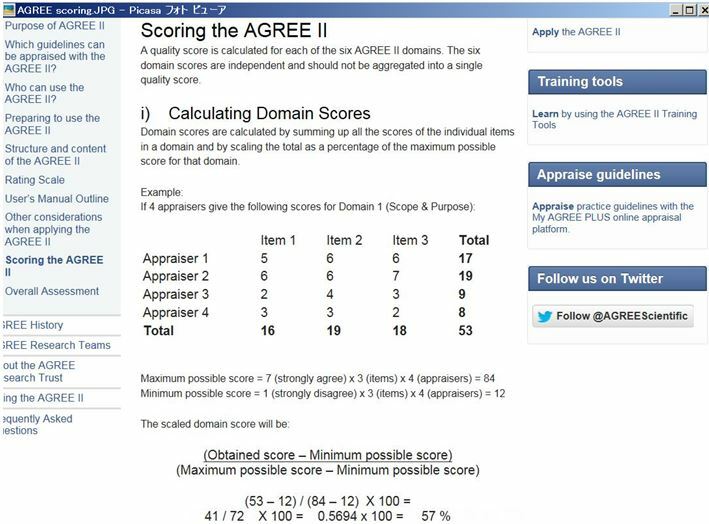 ◦Scores of at least 60% on the AGREE II domains of Scope and Purpose, Rigor of Development and Editorial Independence. A guideline is ‘‘strongly recommended’’ if the majority of items (above 4 items) scored above 50%. 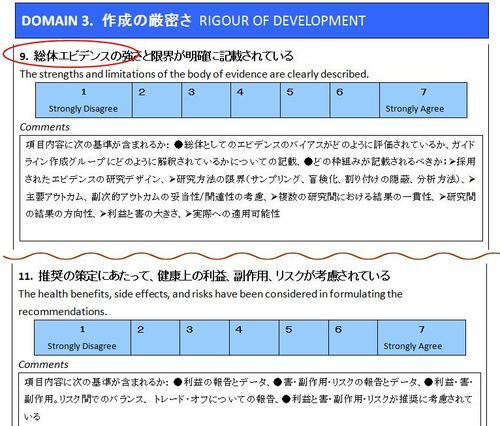 A guideline is ‘‘recommended’’ if 3 main items scored above 50%. 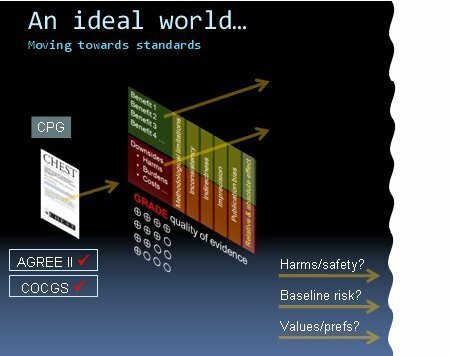 A guideline is ‘‘not recommended’’ if all items scored below 50%. 6 CPGs were strongly recommended as a result of the majority of item (above 4 items) scores being above 50%.These CPGs were produced mainly by the National Guideline Clearinghouse (NGC). One guideline  is recommended due to 3 main item scores being above 50%. One CPG  was not recommended due to all item scores being below 50%. 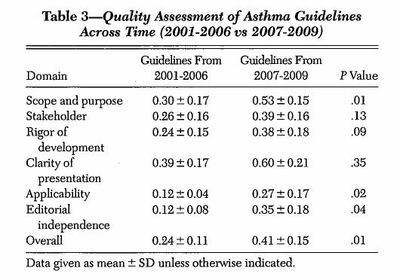 Quality assessment of asthma clinical practice guidelines: a systematic appraisal. Chest. 2013 Aug;144(2):390-7. doi: 10.1378/chest.12-2005.